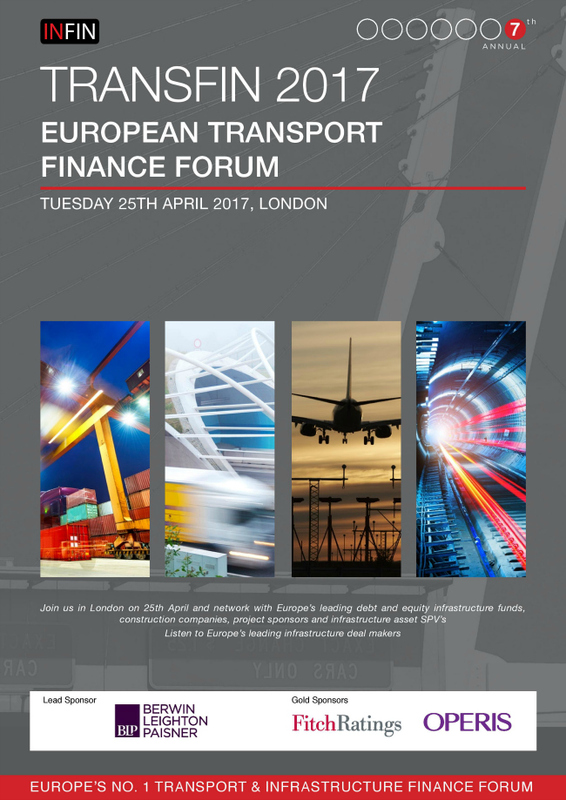 Now in its seventh year, TRANSFIN brings together Europe’s leading transportation infrastructure investors to network, assess potential project opportunities and receive the latest market updates and insights. Covering transportation M&A opportunities as well as Greenfield and Brownfield project investments, the half-day Forum offers unrivalled networking with Europe’s key infrastructure investors, developers, procuring agencies and equity funds. INFIN Members are entitled to two delegate passes. © Marketmaker Group 2019. All rights reserved. Website by Studio Matas.